We are very pleased that our Spring exhibitions have been quite popular. Unfortunately, after being on display for over ten weeks, they will be closing this Saturday, June 30, so if you haven’t seen them yet, please do come by the Center by 5pm on Saturday. First of all, the main gallery exhibition, ‘Cancelled’: Alternative Manifestations and Productive Failures, organized by our guest curator Lauren van Haaften-Schick, has received tremendous amount of press and good attendance at the public programs. The exhibition is accompanied by an informative catalogue for $25. In the Foyer Gallery, artist Anne Gilman is the Featured Artist with her project The Jolly Balance, featuring drawings, prints, a series of scroll drawings, and a book. 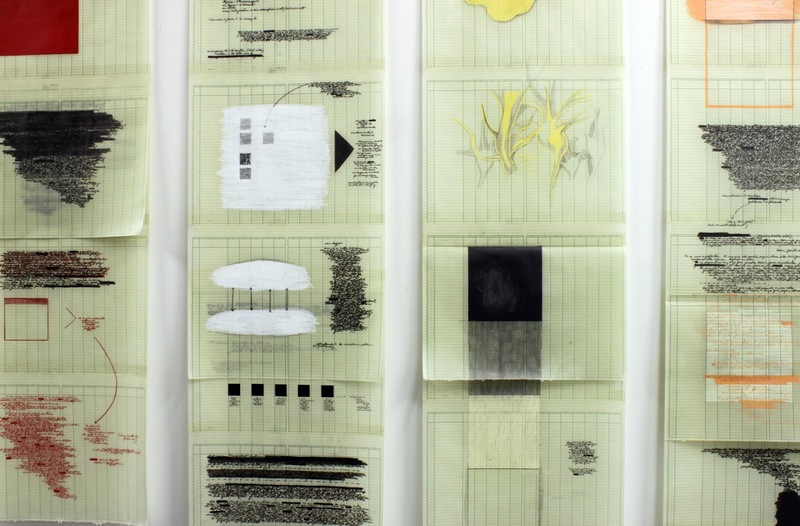 The 14 scroll drawings and book were created especially for the Center’s presentation and can be seen as a site-specific installation. Anne’s work is available to be purchase through the Center and we are pleased to say a few collectors have added Anne’s work to their collection. 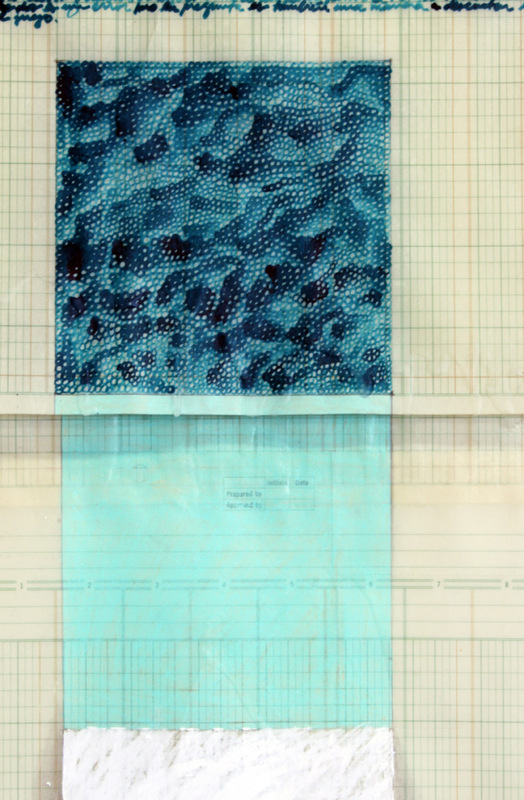 In the Studio Galleries, facing the Printshop and Bindery, are the recent artworks by the Center 2011 Arists-in-Residence James Case-Leal, Liz Linden, Colin McMullan, and Heidi Neilson. Each year the Center invites through a competitive process a group of contemporary artists who have very little to virtually no formal training in book arts to spend a year at the Center to take classes for free and experiment with these new learned techniques within their own artistic practice. The results are always amazing and engaging. AGAIN, DO NOT MISS THESE GREAT EXHIBITIONS. COME BY AND VISIT BY CLOSING TIME SATURDAY THE 30TH OF JUNE. We hope everyone enjoyed our last exhibition, Fine & Dirty, and our two Featured Artist Projects, Strange Birds by Ethan Shoshan and Re/Vision, by Patrician Sarrafian Ward, which closed on March 31st. While we install the work for our next exhibitions shows, opening April 18th, join us for a sneak preview of the spring exhibitions. In the main gallery: Canceled: Alternative Manifestations and Productive Failures, organized by independent curator Lauren van Haaften-Schick; and two Featured Artist Projects : The Jolly Balance, by Anne Gilman; and the 2011 Artists-in-Residence exhibition, featuring last years’ four CBA Artists-in-Residence: James Case-Leal, Liz Linden, Colin McMullan, and Heidi Neilson. 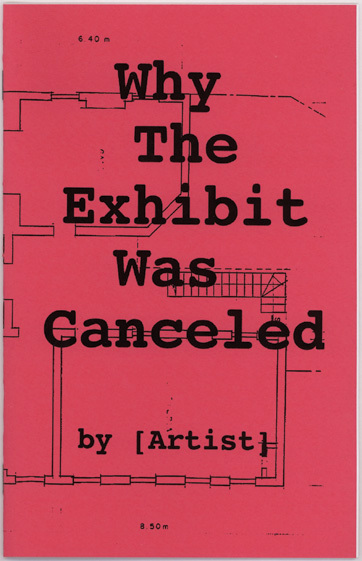 Canceled is an exhibition that I am very excited for, as it will present work and exhibitions that have been previously canceled or prohibited. Looking at the publications these pieces exist in, the exhibition is going to show how publications exist as an alternative exhibition, how they highlight the politics of cancellation, how they can critique or agree with the forces that called for it to be cancelled. By dedicating an exhibition to publications, Canceled highlights the importance of the book as a way to disseminate and document information in a longer-lasting medium than the exhibition itself would have been. 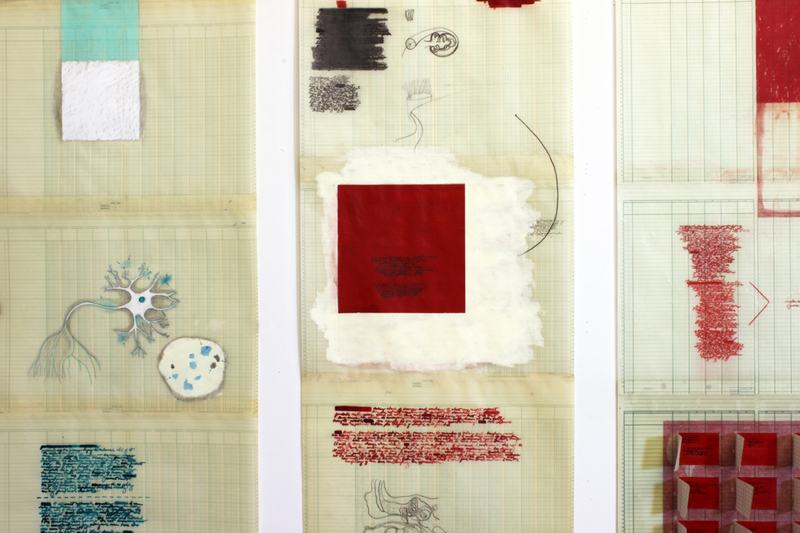 The Jolly Balance is also going to be a brilliant exhibition, one that will fill the walls with Anne Gilman’s series of paper scrolls using drawing, text, and printmaking on graph paper, that connects images, textures, and colors in one giant presentation. The image on the right is just one tiny section of Gilman’s work (it really is a “detail”!). One of my favorite parts of Jolly Balance is a panel section that is covered with red, that includes little panels of paper that you can flip open, so be sure to check that panel out starting April 18th! The last of our three exhibits, the 2011 Artists in Residence collection, is going to be another great one. Showing off the work that our four resident artists have been working on while in residence at the Center for Book Arts (for information about the program, be sure to check out our opportunities section!). 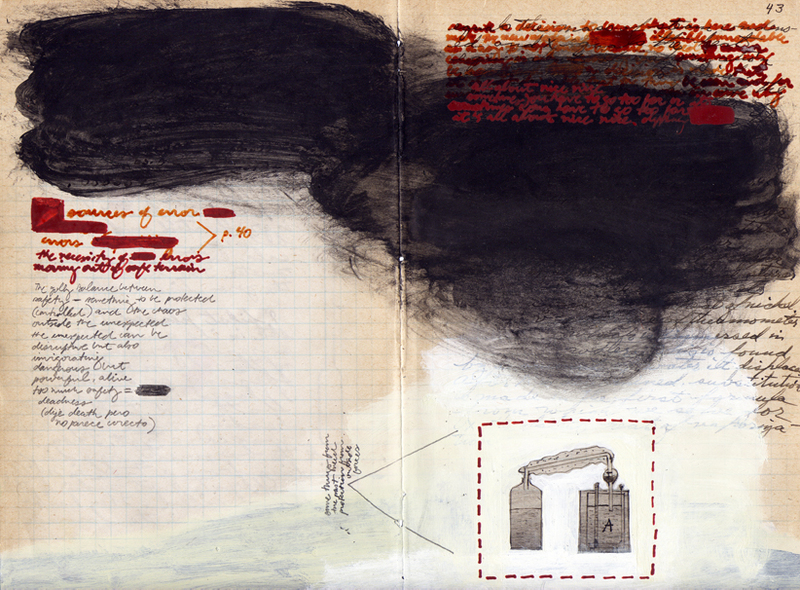 The Artist in Residence program encourages experimentation, bringing artists who work in other mediums to the Center to learn book arts techniques and work to incorporate their new knowledge into their already-established ways of working One piece in the installation, seen above, is Heidi Neilson’s Atlas Dream. 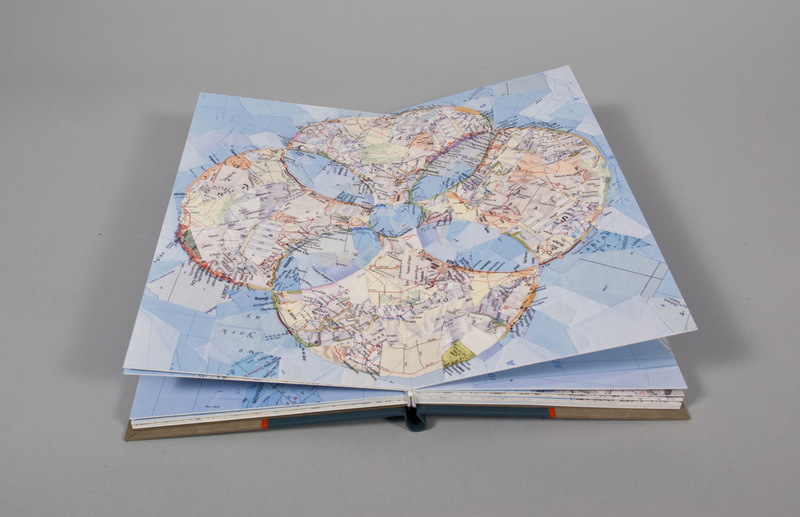 Neilson’s altered atlas is a hodgepodge of different maps, overlapping pieces of New York with pieces of the Caribbean Sea, blending the world into one new and exciting place. These three exhibits are going to be just as amazing as the last ones, but in a completely different way. I hope you enjoyed the tiny peek at what’s to come, and maybe there will be more next week? You’ll have to check back to find out!